After over one year of relative silence, Everton are back at being linked to the Porto winger Yacine Brahimi. 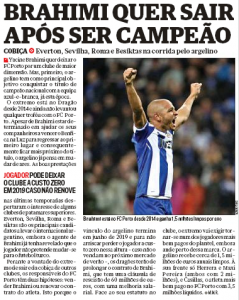 The Toffees are getting a mention in newspaper Correio da Manhã today, who have claims the player is looking to leave the Portuguese side once he conquers the league title this season. Everton would be just one of the clubs in the race for him. Sevilla, Roma and Besiktas are all said to be interested as well. 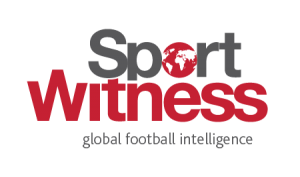 The only club who has a disavantage would be Besiktas, since Brahimi’s agent has already claimed that the player has no interest in moving to Turkey now. The first part of the story sounds fine, especially because Everton have already been linked to the player before, so that’s not something new. What makes the story a bit suspect is the second half, where they say that Brahimi could end up signing a new deal at Porto. With his contract expiring in 2019, the club would have to sell him this summer or give him a new contract, so they won’t lose the winger for free next year. In case of a new deal, Correio makes it clear that the player would have to get a salary increase, making him one of the best paid athletes in the squad. We all know there’s a big chance that this ‘wish to leave’ may be just some pressure to get a better contract. Brahimi is much liked at Porto, and the club would never let him leave on a free. So as long no one comes paying something close to his €60m release clause next summer, a new deal for him should be on the books. 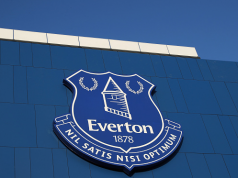 Everton may be keen, but are they €40/50m+ keen?